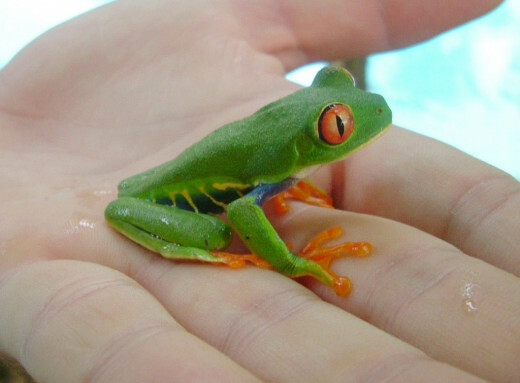 The red eyed tree frog, Agalychnis callidryas,is one of the most popular frogs kept as pets. It is instantly recognizable because of its striking red eyes, green back, blue flanks and orange feet. What many people don’t realize is that it is nocturnal, and when asleep during the day its eyes are hidden. Surprisingly it is quite well camouflaged when sleeping on green foliage. 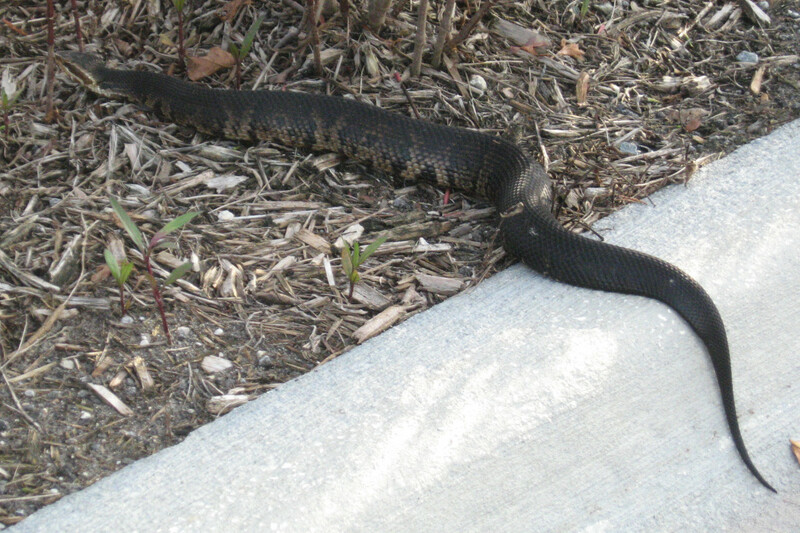 If threatened, however, it will straighten itself, flashing its red eyes, hopefully startling the predator and giving itself a chance to escape. Despite its nocturnal nature it is a very beautiful frog and makes a great pet, as long as careful research has been done into its requirements and a compatible habitat set up for it. 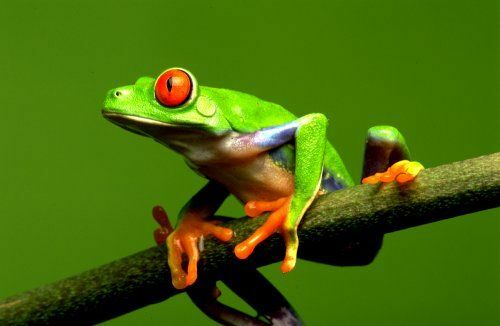 In the wild, red eyed tree frogs, or RETFs, are found in the Amazon rain forests in Mexico, throughout Central America and Northern Columbia. 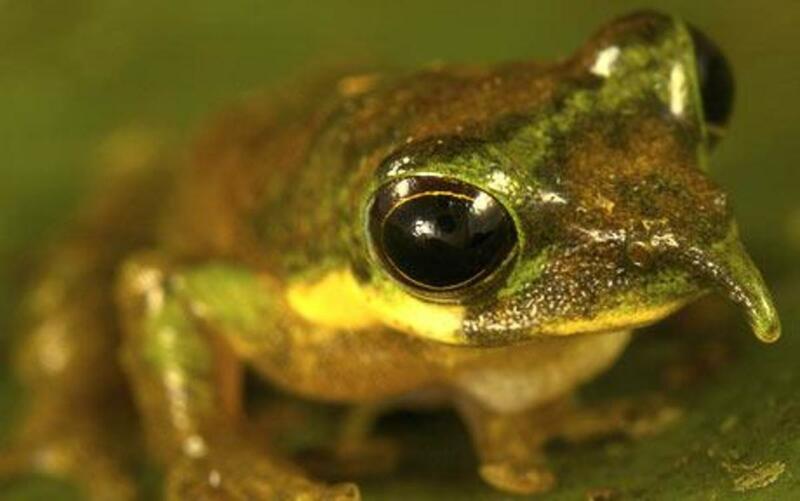 It belongs to the same family as the Phyllomedusine waxy monkey tree frogs, and shares many of their requirements. The frogs attain an adult size of 2-2.5 inches with males being smaller than females. Their lifespan in captivity, if taken care of properly, is about 10 years. As with most tree frogs they need a tall terrarium. 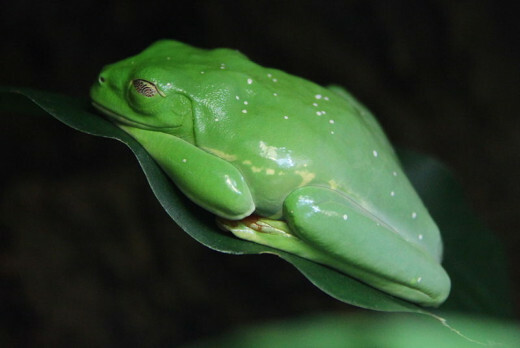 They are quite an active species and need a lot of space to be comfortable, a pair should be housed in a 20 gallon enclosure, and a bigger tank provided if more frogs are housed together. The tank should be furnished with branches, bark and logs or bamboo to provide many climbing opportunities and perching spots. Potted plants help create a natural environment and maintain the high humidity that all amphibians need. I have found exoterra tanks to be very good for housing most of my tree frogs and geckos. Their only disadvantage is that because they are well ventilated maintaining high humidity can be a challenge. Some keepers solve this problem by covering part of the screen at the top of the tank which reduces evaporation. I have found that frequent misting and having a deep layer of moist bark chips substrate, combined with many wall watered plants is sufficient to keep the atmosphere moist. In common with other arboreal amphibians, the red eyed tree frog does not swim well and doesn’t need a large area of water in its enclosure. A shallow water bowl filled with fresh dechlorinated water is sufficient. The frogs ‘drink’ by sitting in the water and absorbing it through their skins. Because they can easily absorb harmful impurities, the water much be changed daily to prevent the frogs from getting sick. During the day the temperature should be maintained at 26-28oC. At night the temperature can drop to 20-22oC. 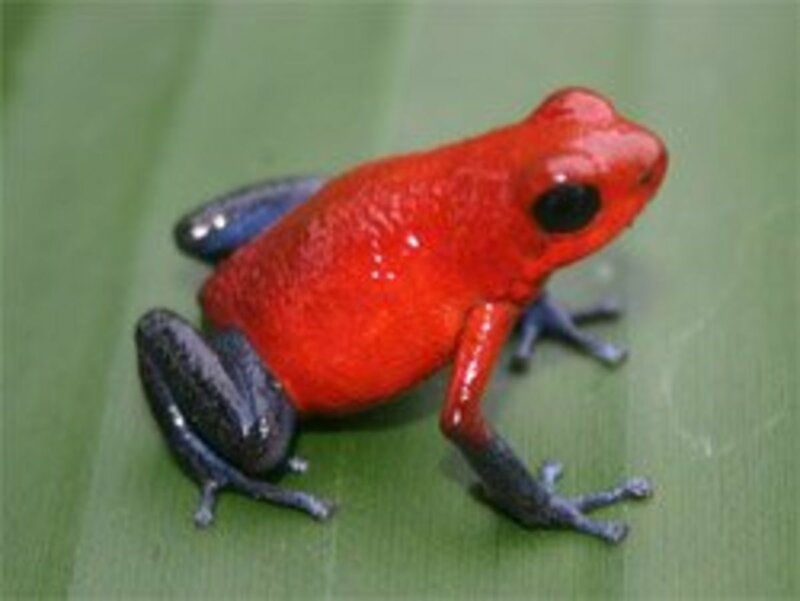 Adult red eyed tree frogs should be fed 3 times a week. They will only eat live insects, which in practice means a staple diet of crickets, with an occasional treat of waxworms, phoenix worms, moths and other available feeder insects. The length of the cricket should not exceed the distance between the frog’s eyes. Crickets should be gut loaded on carrots and other nutritious vegetables the day before feeding to provide the frogs with all the nutrients they require. In the wild insectivores fulfill their nutritious needs from the contents of the guts of their prey, which is continuously feeding on vegetation, and this should be replicated in captivity. Because crickets are low in calcium, they must be dusted with a calcium and vitamin D3 supplement immediately before feeding once a week. Failure to provide your pets with the calcium they require can lead to deformed bones or metabolic bone disease. 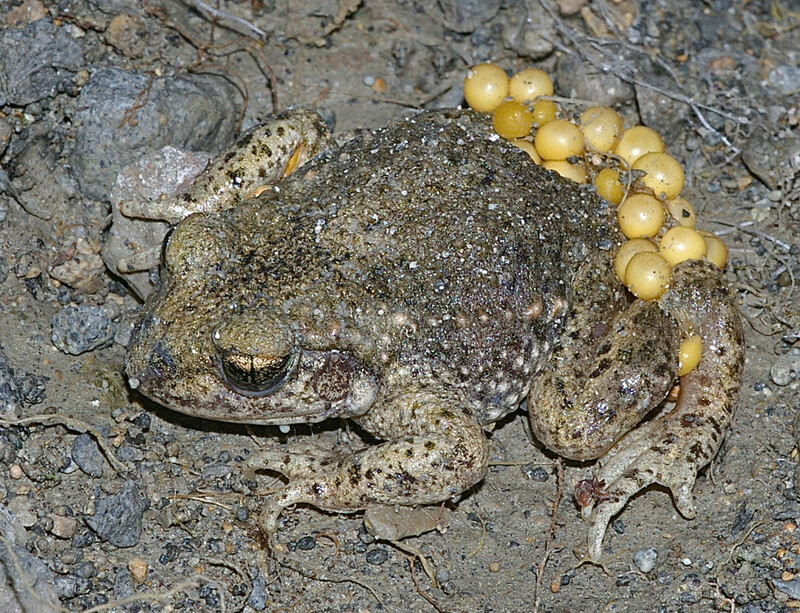 Breeding the frogs requires a higher level of expertise than merely keeping them. In the wild amphibians are usually induced to breed by the arrival of the rainy season. In captivity this is replicated by placing them in a rain chamber. A suitable tank can be constructed by placing a perforated false bottom in the tank, filling the bottom with water which is recirculated with a filter pump and returned to the tank via a spray bar at the top, simulating rain. The frogs should initially only be placed in the rain chamber for short periods of time, which are gradually extended. This should be sufficient for the males to start calling and eventually amplexing with females. Eggs will be laid on a leaf above the water. When amplexus is over the adults should be removed into their normal terrarium and when the tadpoles hatch, they must be placed in tanks filled with clean, dechlorinated water. The tadpoles can be fed several times a day on powdered algae tablets, sera micron powder, or infusoria. When they are slightly grown some gentle aeration and filtration can be introduced into their tanks to maintain water quality. Do you think frogs make good pets? I love this article. I always wanted this type of frog. These frogs are the most interesting and beautiful!!! 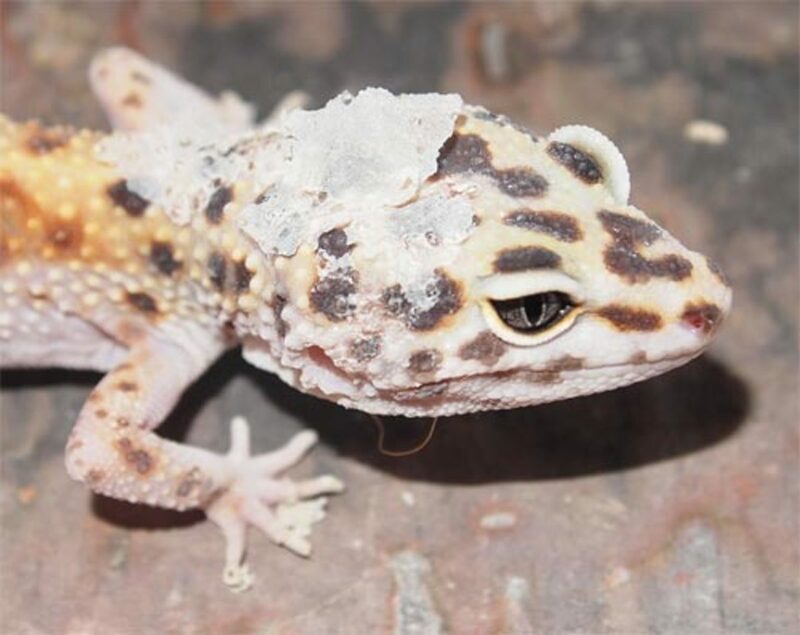 Marvelous looking and fascinating creature; interesting how they are to be kept; interesting too, how they drink water, how and what they eat, how they're environment is to be kept, and what is necessary for their mating.